Facebook is asking you to tag pictures and identify your contacts. This can be very dangerous, because someone can forge your identity card and empty your bank account or take a huge loan by your name. In Facebook you cannot ban your friends of doing this, but you can make a change in your preferences, so that you are the only one who sees these tags of you, and then you can remove them. 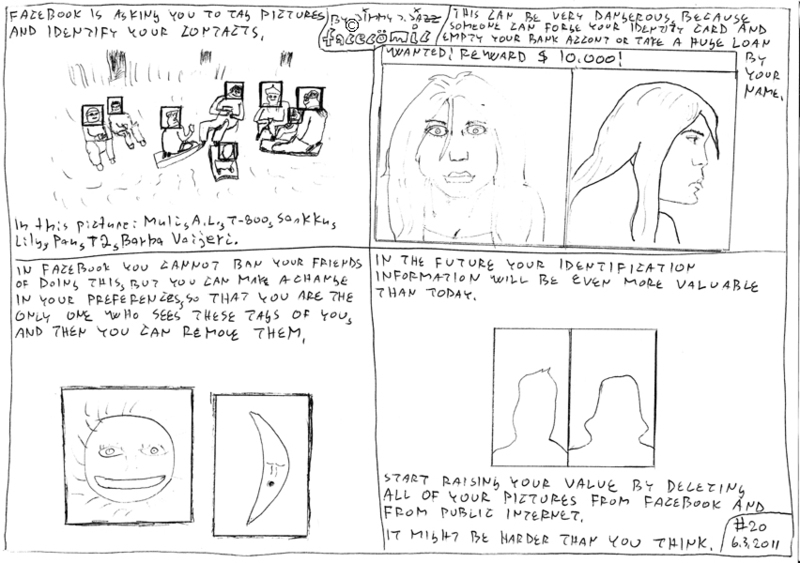 In the future your identification information will be even more valuable than today. Start raising your own value by deleting all of your pictures from Facebook and from public Internet. It might be harder that you think.